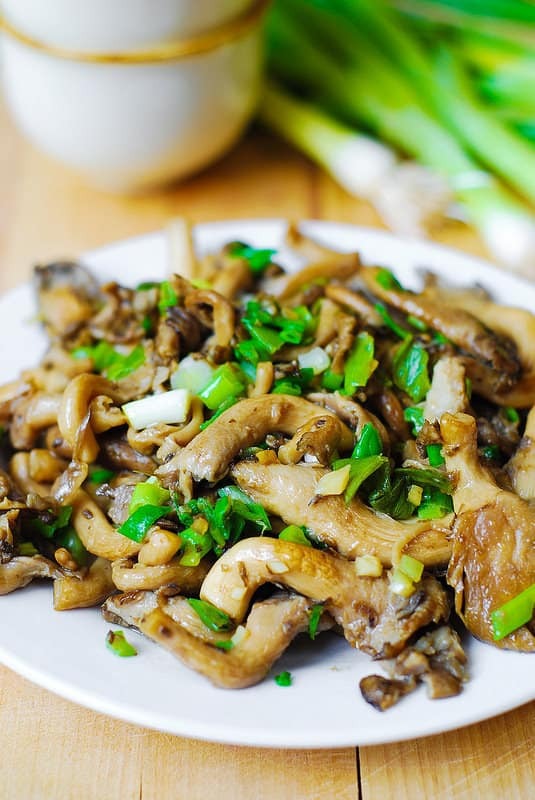 Oyster mushrooms, garlic, and green onions saute – Paleo, Gluten Free recipe. I’ve discovered oyster mushrooms several years ago and have been regularly cooking with them since then. Their flavor and texture are amazing. They are versatile and filling: I could eat 2 servings of this recipe for dinner and not go hungry. 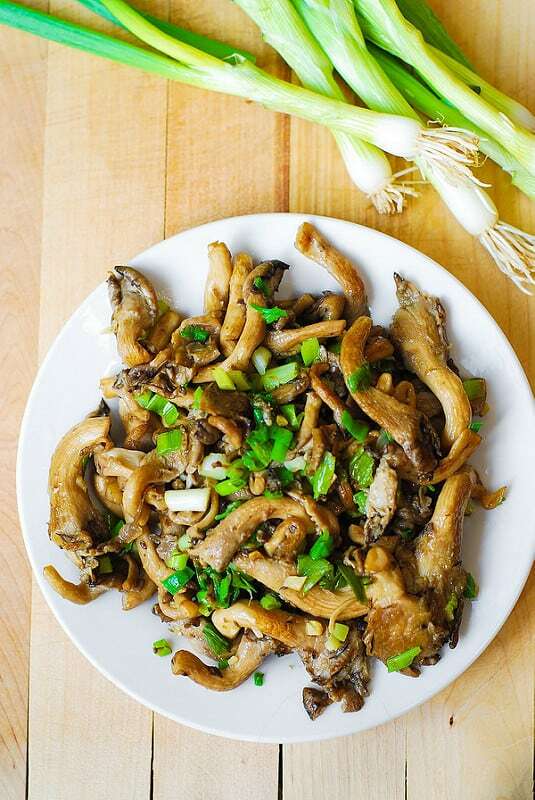 Oyster mushrooms sauteed with garlic and green onions are also a great side dish for grilled steak, or they can be mixed with pasta or rice, or cooked as part of rice risotto. I love this recipe because it uses fresh, good-for-you ingredients, such as vegetables, and garlic (which has antioxidant, anti-cancer, anti-microbial properties). Here is a great article on the benefits of garlic. 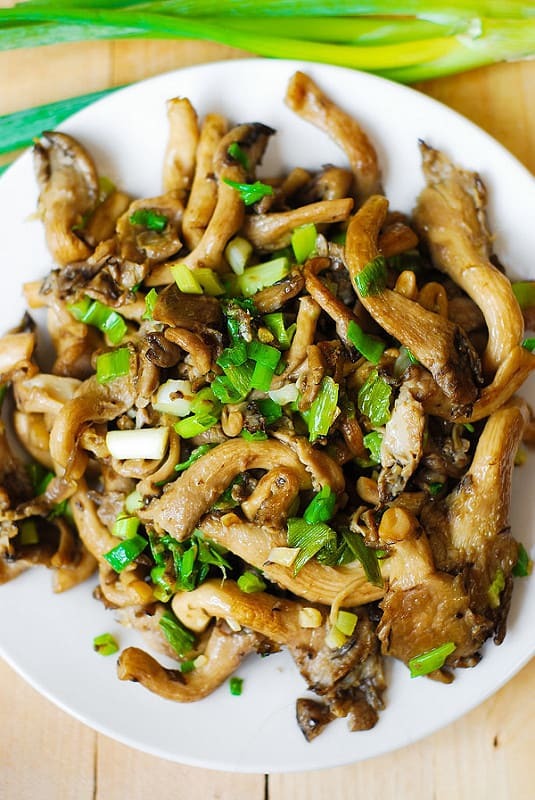 These sauteed oyster mushrooms are vegetarian, vegan, gluten-free, paleo-friendly. 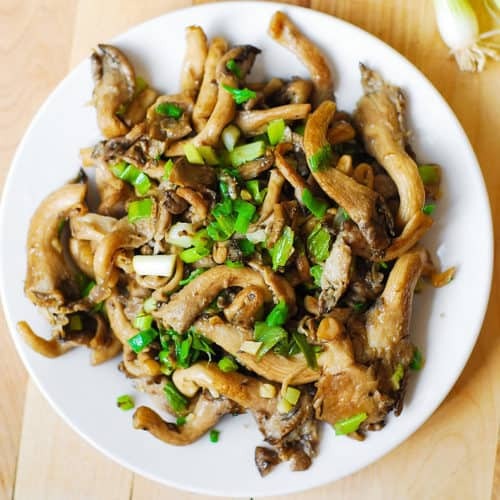 Great recipe it was delicious and simple to make first time trying oyster mushrooms and they came out delicious. So happy to hear that! Glad you enjoyed this recipe! 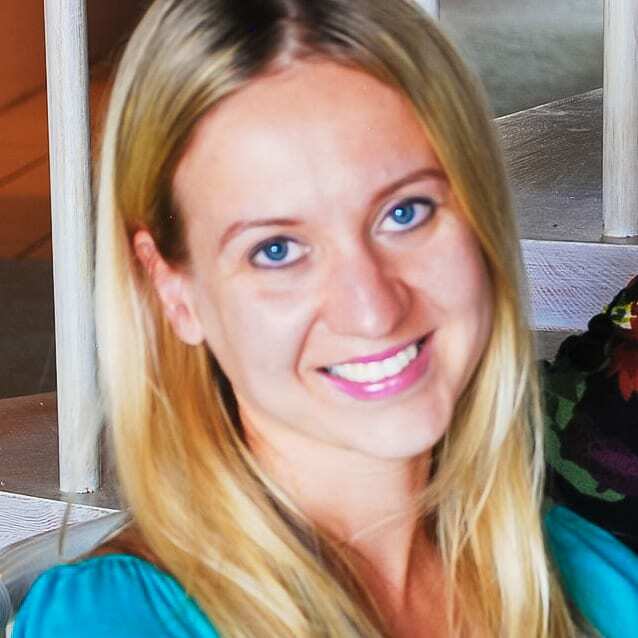 Thanks for your inspiration! I have a packet of oyster mushroom in the fridge for days, not knowing what to do with it. Thanks to your sharing, I combined the recipe with my leftover grilled chicken ,which i cut into strips. It’s an absolutely wonderful side dish with rice and soup! I am so glad you found this recipe useful! I’ve heard how good these mushrooms are for a very long time now. Your recipe inspired me but I did not have fresh garlic or green onions so I substituted thinly sliced Yellow pepper and sweet onion. I added a bit of high-quality powdered garlic near the end and I finished the sauté with A splash of chicken stock and just one pat of butter for richness. To give it a protein boost, I used some very then sautéed pieces of chicken tenders. A quarter cup of steamed the basmati rice help to make the dish a bit more filling and gave it a different texture which I enjoyed greatly! Greg, you created an amazing meal out of this recipe! All your additions (yellow pepper, sweet onion, chicken stock, sauteed chicken tenders, and rice) are delicious! Can you believe that I just got some at the 99 cent store? I like to bread and fry them up for a sandwich but this time I will go healthier and make your recipe as it looks delicious. These are my absolute favorite mushrooms. Oyster mushrooms are so delicious, aren’t they?! Your version (breaded and fried) sounds good too! I buy my mushrooms from a local grower in Scranton Iowa. They are soooo yummy! Can’t wait to try your recipe. Hikes and found some wild oyster mushrooms. I added soy sauce, liquid smoke, and maple syrup and they were absolutely delicious! Matt, you additions sound delicious! I’m not rating your recipe YET but it sounds spectacular. You’re very welcome! I am glad you liked this simple recipe. I think I’ll make these to add to a ramen bowl! I loved the simplicity and flavors of this dish. Used it as a savory side dish to a dinner salad in lieu of rolls or bread. It was very yum and satisfying. So glad you enjoyed it! I used to cook this dish a lot in the past, and I really enjoyed it! How do you grow mushrooms!??? Back to Roots makes a mushroom mini farm in a box. Mushrooms in 10 days. Works good!